What do you collect? Coins, baseball cards, antiques, bottle caps, beer cans, comic books, miniatures, postcards, hats, spoons, stamps, thimbles, cookie cutters, teddy bears, frogs, action figures, concert tickets, magnets, or PEZ dispensers… the list goes on and on. Whatever the collection, I’ve seen it all! Some are very valuable and worth a large chunk of change. Other collections are simply for fun or nostalgia. The question is: Where is your collection? Do you keep it buried in a box in the basement? Or, worse yet, is it piled all over your guest bedroom, master closet, or home office cluttering up your usable space? Either way, how can you really appreciate what you have if it’s buried or becoming a burden? My challenge to you is to find a fun and clever way to display all or a part of your collection. It doesn’t necessarily need to be out for everyone to see. Albums of paper objects can be stored on bookshelves. If your collection is too big, consider exhibiting a few items and rotating the rest. Remember, if it’s worth keeping, then it’s worth storing properly or displaying so that you can truly enjoy what you’ve spent years (sometimes decades) collecting. 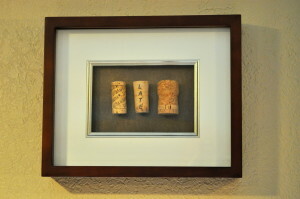 When my husband and I first met, I started collecting wine and champagne corks from special events. Yes, even the home organizer has a collection! I stored the corks in a leather box with a list of the dates and descriptions. Finally, I decided to find a unique way to enjoy them. 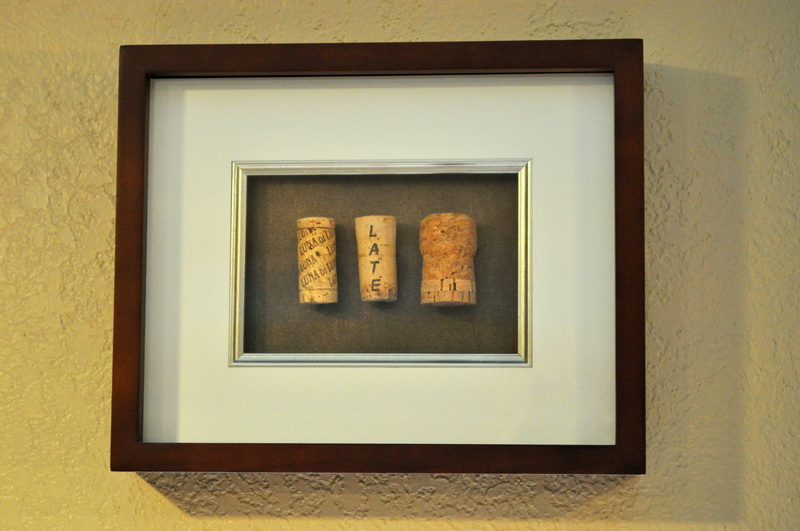 I framed three of the corks in a shadow box that is now displayed above the sink window in our kitchen. One cork was from our first date, another was from our honeymoon, and one cork was from our first anniversary. Then again, maybe you’ve decided that you don’t benefit from the hundreds of beanie babies that you used to love so dearly… maybe it’s time to consider moving on and letting go. Some collections can be sold or donated. If it’s too hard to get rid of them, keep a handful of your favorites. No sense keeping all of them if the collection is not cherished the way it used to be.